Magic Springs: Amusement park and water park in Hot Springs, Arkansas. Crystal Bridges Museum of American Art: Museum of American art in Bentonville, Arkansas. Hot Springs National Park: National park in central Garland County, Arkansas. Little Rock Zoo: Zoo in Little Rock, Arkansas. Thorncrown Chapel: Chapel in Eureka Springs, Arkansas. Wild River Country: Water park in North Little Rock, Arkansas. Crater of Diamonds State Park: State park in Pike County, Arkansas. Lake Ouachita: Reservoir in western Arkansas. Lake Hamilton and Lake Catherine: Man-made lakes around Hot Springs, Arkansas. Garvan Woodland Gardens: Botanical garden in Hot Springs, Arkansas. Buffalo National River: River in northern Arkansas. Arkansas Arts Center: Museum in Little Rock, Arkansas. Big Dam Bridge: Pedestrian bridge in Little Rock, Arkansas. Hot Springs Mountain Tower: Tower in Hot Springs, Arkansas. Arkansas Alligator Farm and Petting Zoo: Farm in Hot Springs, Arkansas. Pea Ridge National Military Park: Park in Pea Ridge, Arkansas. Clinton Presidential Center: Presidential library in Little Rock, Arkansas. Ozark Folk Center: State park in Mountain View, Arkansas. Native Americans later were called the Quapaw, also called the Arkansaw. The World's Championship Duck Calling Contest is held annually in Stuttgart. It is illegal for the Arkansas River to rise above the Main Street Bridge in Little Rock. It is unclear how this law can be enforced. In November, 1932, Hattie Caraway was elected senator in Arkansas. She became the first woman in the U.S. Senate. 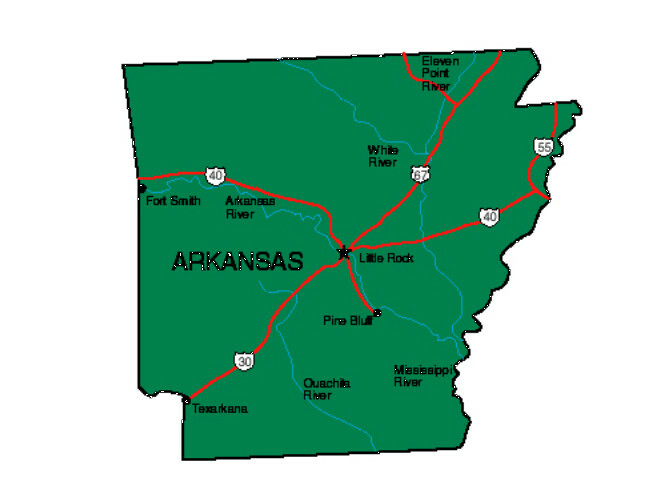 Arkansas contains over 600,000 acres of lakes and 9,700 miles of streams and rivers. On July 2, 1962, Sam Walton founded opened the first Wal-Mart store in Rogers, Arkansas. 47 hot springs flow from the southwestern slope of Hot Springs Mountain. About 1,000,000 gallons of 143�F flow from the springs every day. 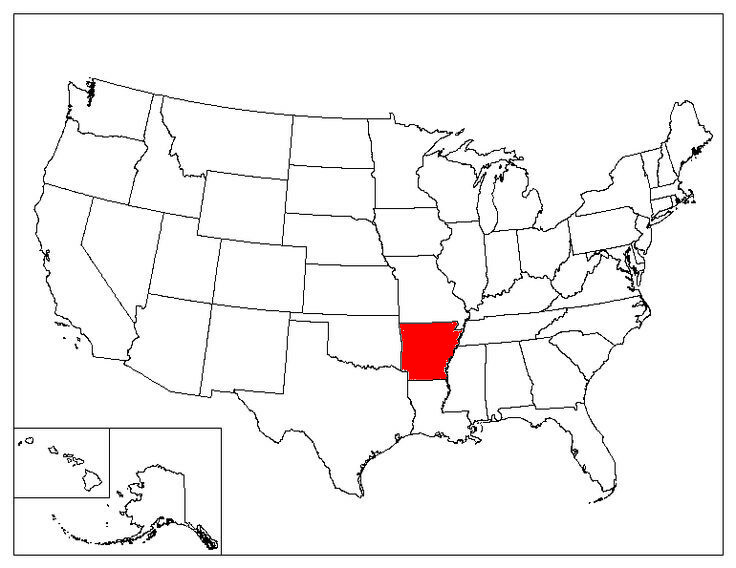 Arkansas is the only state with an official State Cooking Vessel: Dutch oven.